We Are All Made Of Stars. All the matter in the Universe is essentially made up of stardust. And music, incorporeal and pervasive essence, what sound will it have fifty years from now on the Moon? NASA discovered a planet light-years away from us, but very similar to planet Earth. The concept of human race within universal space has essentially been undermined, with our synapses that have multiplied associative links. In view of the 50 years of Driade, and a year from the 50th anniversary of Apollo 11’s moon landing, Yar audio lands on the “shelter” of the design firm that celebrates its 50th anniversary. Driade Moon Mission / 50’ Anniversary is the result of a project by Gianluigi Ricuperati, in collaboration with IPW Institute for Production of Wonder and Barbara De Micheli. An imaginary lunar mission set at Cinema Arti in the heart of Milan, where the scenography reconstructs a porch in space, will be inaugurated in view of the Milan Design Week. We are inside the Driade Moon Mission, we’re fluctuating in an extraterrestrial environment where some historic masterpieces of the design group appear, redesigned and printed in 3D thanks to the new Studio Nucleo concept, a group of artists and designers from Turin. These consist of four pieces of design by Philippe Starck, Naoto Fukusawa and Enzo Mari, that will be subject matter not only of the setting of the exhibition, but even of Moonage Daydream, a short film directed by Adriano Valerio based on Gianluigi Ricuperati project. 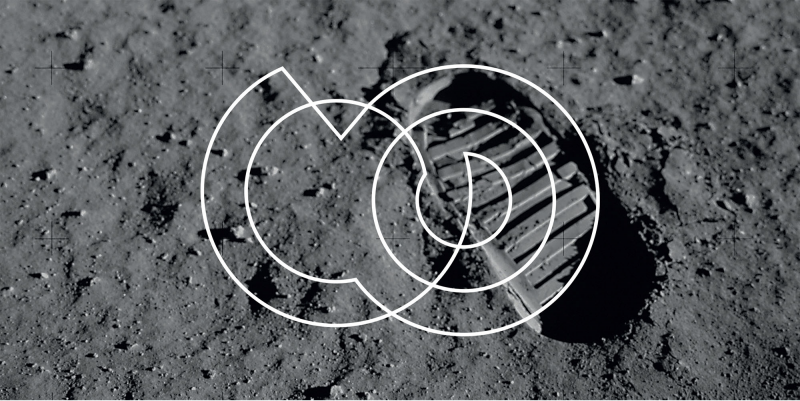 A multi-sensory experience thanks to a lunar listening room by Yar, of which musical selection will consist of sounds that recalls the interstellar dimension, a full immersion that goes beyond categories of space and time. The best cosmic themed tracks; sounds of electronics devices set the time of the voices, that seem so distant and periodically fold back on themselves. Music Session: April 17th to 22nd, 7.30pm – 10pm. Driade Moon Mission / 50’ Anniversary: April 17th to 22nd, 11.30am – 10.00pm. Inspired by the complexity and beauty of nature, YAR audio system is the world’s most natural three-dimensional sound experience. Functional design, together with cutting edge technology and materials and suppliers certified by supercar, aeronautics and space industries, ensures the unique purity of the YAR sound while carbon fibre is the mystery that defines its harmonic perfection. YAR is entirely handcrafted in Italy and available in a limited edition of 100 bespoke systems only and a personalised finish is unique to each: combinations of carbon fibre, exotic hardwoods, aluminium, titanium, silver and gold are just a few of the many options available, in addition to the engraving of your own signature for a final bespoke touch. Once your YAR system is ready, it is tested for 200 hours, then delivered and installed by the same team who handcrafted it. In other words, YAR is truly haute couture for audio. Driade was created in 1968, on the initiative of a founder group comprising Enrico e Antonia Astori e Adelaide Acerbi, asserting itself from the start as a designer Italian manufacturing company. It is characterized by its original proposal and by its highly innovative industrial policy, which provides a comparison between three specific issues of the project:the creation of a programme, its implementation and communication. In 2013 Driade is transferred to ItalianCreationGroup, an industrial holding responsible for the growth of medium-sized enterprises whose brand represents the essence and excellence of creativity.